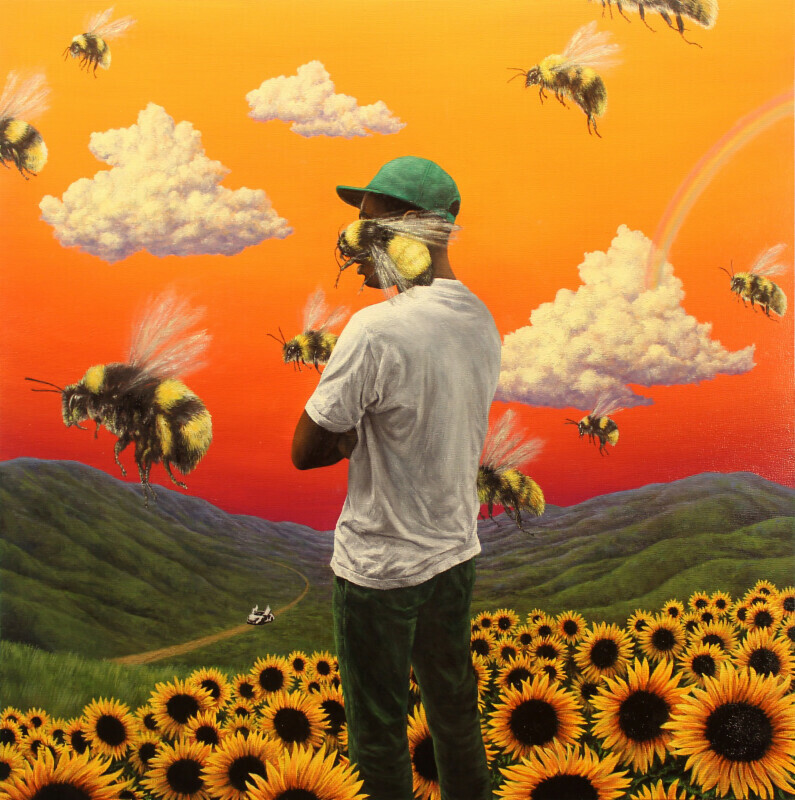 Tyler, The Creator has been uncharacteristically quiet since the touring for his 2015 album Cherry Bomb finished - he didn't even make it on his last European tour. Perhaps it was because he was struck by inspiration for a new release, and judging by last week's surprise new singles 'Who Dat Boy?' and the Frank Ocean featuring '911 / Mr. Lonely' he has definitely found a rich vain of form. 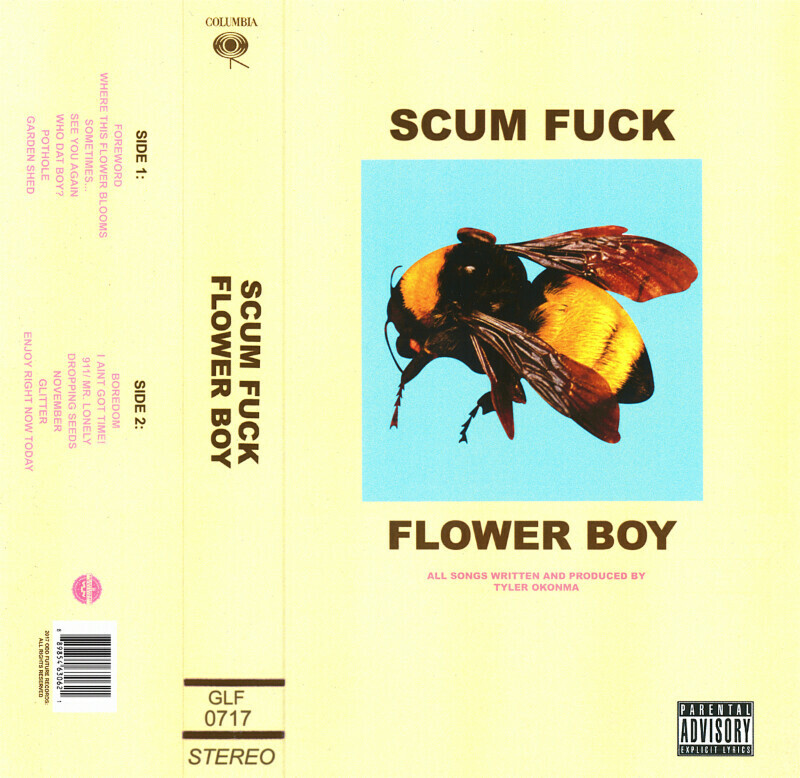 Now comes an even bigger and better surprise for Tyler, The Creator fans; he will release a new album called Flower Boy on July 21st via Columbia Records. Both of the aforementioned singles feature on the album, as well as 12 other brand new tracks. As with previous Odd Future related releases, there are multiple covers; one created by Tyler and one by LA artist Eric White - we'll let you figure out which one's which, they're both below. Beneath is the track list for Flower Boy. But before that, refresh yourself with a listen to '911 / Mr. Lonely'. 09. I Ain't Got Time!